Al Jazeera America is the new American news channel that reports unbiased, fact-based and in-depth journalism that gets you closer to the people at the heart of the news. 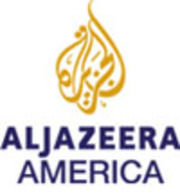 First announced in January of 2013 and set to launch August 20th, Al Jazeera America will have one of the largest newsgathering capabilities of any news organization in the United States with 12 bureaus in major cities around the country, three broadcast centers, a headquarters in New York City and a team of close to 900 journalists and staff. Best-of reports from "America Tonight" are presented. Best-of reports from "Ali Velshi on Target." A best-of edition looks back at memorable interviews on "Talk to Al Jazeera." Included: author George R.R. Martin ("Game of Thrones"); filmmaker Spike Lee; author-feminist Gloria Steinem; ballerina Misty Copeland; and comic Richard Lewis. The stories of people who went through the CIA torture program are related. Included: the lasting impact on their minds and bodies. Cholera in Haiti is investigated. The garment-production industry is investigated. A study of what went terribly wrong in New Orleans during Hurricane Katrina. Included: technology that may be able to protect New Orleans from future disaster. Classical pianist Lang Lang is the guest. Included: Lang's childhood; his collaborations; and music education. Soledad O'Brien reports on a juvenile prison's experimental program providing mentoring and education to help turn criminal kids' lives around. A look at a controversial drug trial involving the use of Ecstacy to treat trauma and PTSD. B-52s singer Kate Pierson is the guest. Included: serious messages beneath the band's party music; her new song. The deaths of 15 civilians during a joint U.S.-Afghan military operation in Afghanistan is investigated. A look at what young inmates face when they're placed in adult prisons. Included: allegations of physical and sexual abuse. An investigation of pretrial detentions casts light on how U.S. courts are failing the poor. A look at the efforts of jungle scientists to save endangered macaws. Rock singer Peter Gabriel is the guest. Topics include Gabriel's political education and his human-rights endeavors. Interviews with newsmakers are featured. The guest is alt-rock techno artist Moby, who discusses social activism and his new music. An investigation zeros in on what is killing the ocean's coral. The experiences of foreign workers on U.S. military bases in Afghanistan are examined. Best-of highlights from the series "Inside Story." Included: Pope Francis' visit to New York City.